You step up to a putt knowing exactly where to aim, hit it the exact perfect distance, and then watch as it rolls a foot left of where you were aiming. If you can’t putt the ball on line consistently, then distance and your ability to read greens and control distance is irrelevant. In fact, proper alignment is probably the fundamental that all your other putting practice should be based on. This is a drill that can be seen being used frequently on PGA Tour practice greens. It involves placing a mirror on the ground so that you can see your entire setup including your eyes, putter face, and shoulders. Most golfers will find that what feels like a square setup is actually far from it. One of the best and most popular ones out there is the Eyeline Putting Mirror. There is no specific routine that I would recommend while using this mirror. Instead, you should use more of a trial and error approach. Using a mirror like this is a learning tool and allowing yourself to find the best setup position for you is probably the most effective approach and will tend to stick better than trying to create an artificial position. Find a relatively straight putt, set up to it and attempt a stroke. Observe whether you are consistently hitting the ball on line with your target. If not, make some adjustments to your setup. The goal here is to create a setup where your natural stroke delivers the ball on the line you are visualizing, then observe how that setup looks. Then attempt to recreate that setup without the trial and error portion. Being able to set up properly is something that you need to practice. That is where the mirror comes in. It allows you to see each aspect of your setup, making it easier to recreate the positions that allow you to hit the ball on line most consistently. This accelerates the learning curve, helping you learn to create a good setup position more quickly. Eventually you will work up to doing the same drill without the mirror, relying on the feel that you learned using the mirror. You have probably seen this one on practice greens a lot when you play. 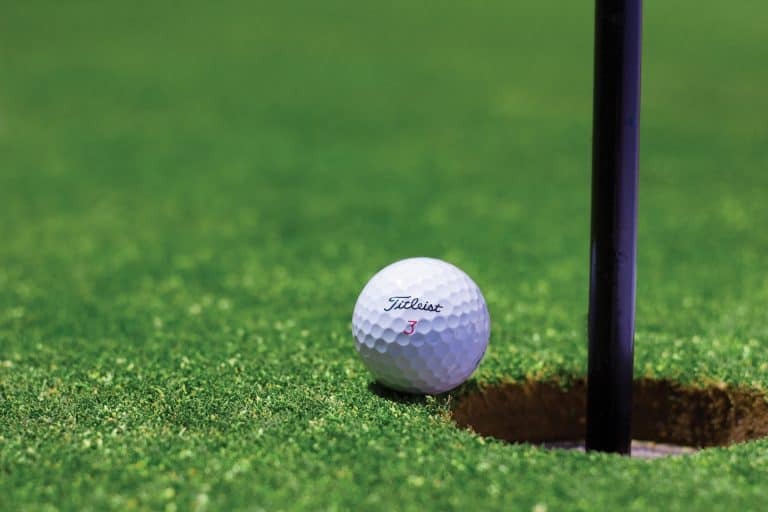 A player puts two tees in the ground just slightly wider than the putter, puts the ball in the middle of them, and then putts toward the green. That’s great for getting used to hitting the sweet spot, but it doesn’t do anything to help with getting the putter face aligned at the time of impact. Instead, try putting the “gate” about 2-3 feet in front of the ball and putt the ball through it. The goal here is to train yourself to hit the same spot over and over again. Try to find a level surface so that you don’t have to factor in break and forget about speed or how far past the gate the ball goes. Your only goal should be getting the ball to roll through that gate 3 feet away. As you get better, make the gate smaller until it is barely wide enough for the ball to fit through. You can also move it further away, but be careful if you start getting a breaking putt. That can mess with your alignment. I would recommend sticking to no further than 3 feet. Once you can hit a spot 3 feet in front of you with great consistency, then any putt is simply a matter of finding a spot 3 feet away from the ball to aim at. One potential cause of putts going offline is wrist breakdown. You can be aligned perfectly at setup and a breakdown during your stroke can cause the ball to go offline in any direction. So this drill will help you avoid such breakdowns and keep the putter head in a consistent position relative to your swing. It can be a matter of technique whether you want to incorporate wrist hinge into your putting stroke, so if you do, then this may not be the right drill for you. But if you are looking for a way to increase consistency and putt the ball straight, then this can be very helpful. The drill itself is quite simple and can be incorporated into any of the other drills here. Using a watch, wristband, golf glove, or even a rubber band…attach a short stick or ruler to the outside of your lead wrist (left hand for right handed golfers). If your wrist angle breaks down then you can feel it press against the stick. Over time, this will help you learn the feel of a more consistent swing and develop better habits. This is another common drill that can help alignment if you modify your focus a little bit. The drills above are meant to teach you good alignment, setup, and a consistently on target stroke. This drill works on being able to get yourself set up to use those skills on the course. Find a spot on the putting green with some break. Then place tees around the hole about 4 feet out at clock positions 12, 9, 6, and 3. Try to ensure that one of them is a straight uphill putt. Then you should have a downhill putt, a left breaking putt, and a right breaking putt. This is similar in setup to the Circle Drill I talked about here, except the focus is on setting up properly to each putt and getting it started on the correct line. Place a few balls at each position. You want to work your way around the circle and attempt to make each putt. Speed is less of a focus than getting the ball started on the line you chose. Remember what you learned on the previous drills and step into each putt trying to recreate those feelings. After a few times around the circle, you will know exactly the correct line for each putt so there is no guesswork as far as reading the green. Now you can focus solely on being able to align yourself to a target you have chosen and deliver the ball on target. If you find yourself consistently missing to one side or the other, then go back to the previous drills to try and diagnose and fix the cause of that. This is a great drill to use while you are warming up for a round and have some extra time. I used to think those fake turf indoor putting greens were toys rather than real golf training aids. The right indoor putting green can be extremely helpful for a few reasons. First, you can establish a controlled putting environment. Not all building floors are perfectly level, but most are pretty close, and they are certainly more consistently level than a practice putting green. 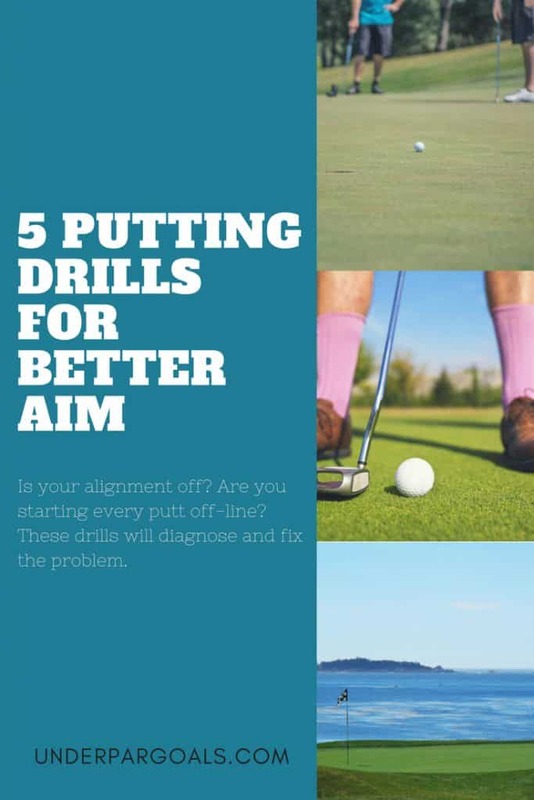 By eliminating slope and break from the putt, you can focus completely on line and alignment. Being able to isolate one aspect of a skill can accelerate your progress through more reliable and instant feedback. Second, you can practice any time you want. Once you have a good setup and you are practicing the correct way, repetition is very important. Being able to practice at home or the office regardless of weather can be a huge benefit to your game. If you are looking for a good putting green for home that isn’t too expensive, then try the SKLZ Accelerator Pro. It has alignment lines built in that are perfect for working on getting the ball rolling on target. I use one of these at home and it is my go to activity when I am bored, it’s raining, or I am working and need a little mental break. The lines on it make it perfect for alignment practice. These drills will help control your distance on the greens. 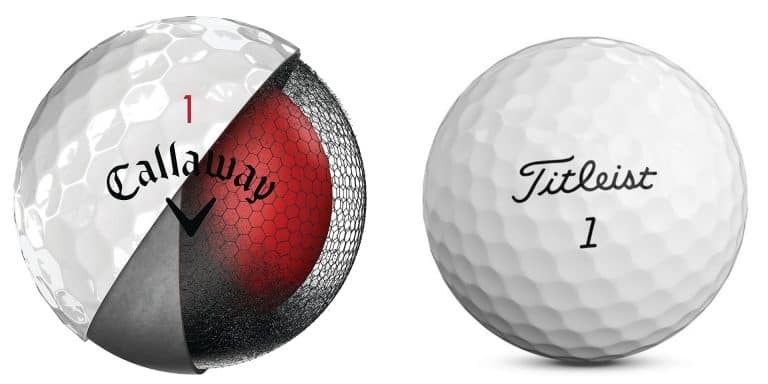 To find more great training aids for putting, click here. Beginners and high handicappers looking for a putter will find this guide useful.